Red is our favorite color….but we LOVE going Green!! Red’s Eats will offer paper straws upon request. We will continue to focus on switching all of our plastic ware to Eco Friendly products. We truly believe that every bit we all do will make a difference. Let’s all work towards saving our oceans, our land, our Earth. Approximately 14.5 tons of fresh lobster meat is served to build our lobster rolls. That is from mid April to mid October. We do not measure….we pile it high. Red’s serves 4-6 gallons of fresh, shucked Maine clams per day. Batter frying them and serving by the pint, 1/2 pint or in a buttered, grilled roll. Seven +/- employees work side-by-side inside Red’s Eats during the high season. Red’s serves 12-14 pounds of fresh crabmeat daily. Red’s serves 20-25 pounds of deep fried or grilled haddock daily. It takes about 200 pounds of Spanish onions to meet the weekly demand for onion rings. Red’s served over 2.5 ton of Kate’s Maine butter last season. 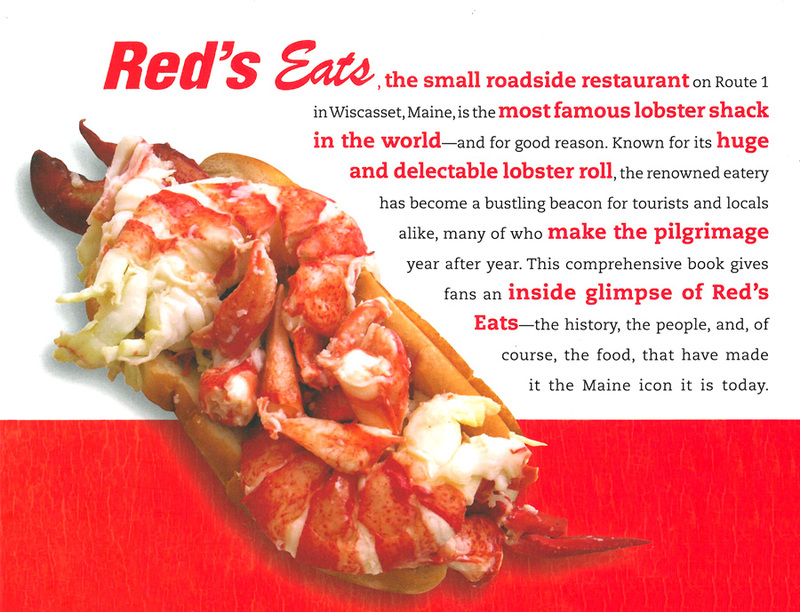 Red “Allen” Gagnon was the first one to offer lobster rolls plain….with butter or mayonnaise on the side. Many have copied his idea. Red’s sponsors many locals…from cheerleading squads to race car drivers to tractor pullers. As well as giving to the Cancer society, Veterans, Heart association, Kidney Foundation, St. Judes, Animal shelters, Children’s Programs, Guide dogs for the blind, Libraries, School programs and many more! Prep crew arrives any time between 5 -6 a.m. to begin prepping the fresh foods. Cutting onions, making batter, making coleslaw, tartar sauce, cocktail sauce, etc. Red’s boasts MANY homemade items.